Ask any dermatologist for the best anti-aging ingredient, she will probably recommend hyaluronic acid, retinol or peptides. True enough, these beauty heroes work wonders to keep skin youthful. Recently, though, another amazing ingredient has emerged. It goes by the name EGF. EGF stands for epidermal growth factor, a single-chain, non-glycosylated protein endemic in our skin cells. In other words, it is a naturally occurring protein found in the skin that plays an important role to make your skin rejuvenated and healthier. Now, you are probably asking yourself why do you still need an EGF-formulated product when it's naturally found in the skin? Unfortunately, epidermal growth factor levels in our bodies decrease as we age. This leads to fine lines, wrinkles, age spots and more. Incorporating it in your skin care routine can help replenish the low levels of EGF present in the body. Epidermal growth factor is not really something new. It was first discovered in the '50s by two scientists namely Rita Levi-Montalcini and Stanley Cohen. The duo put their best efforts to determine how EGF functions. Their findings were so innovative that it won them a Nobel Prize in Physiology and Medicine in 1986. This inspired many scientists to develop EGF replicas that function exactly like the naturally-occurring growth factor. EGF works by enticing cells to a wounded site in order to prompt the body's healing process. These responsive cells, known as osteoblasts, process EGF, promoting skin tissue repair and regeneration. "Wounded site" may sound a bit terrible, but it just refers to skin that is not healthy as it used to be a.k.a. 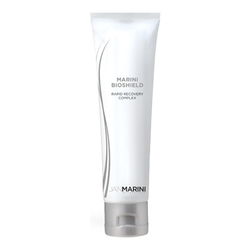 skin that has been damaged by excessive sun exposure and the aging process. Furthermore, EGF encourages collagen and elastin production, which are the proteins in the skin that keep it firm and smooth. Still confused about how growth factor works? 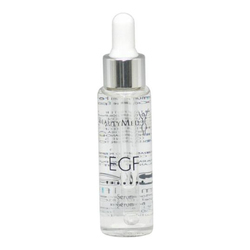 Simply put, EGF is a signal that tells your skin to behave like young, healthy cells. What are the benefits of EGF? 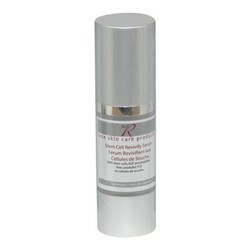 It repairs skin by stimulating the growth of new skin cells. 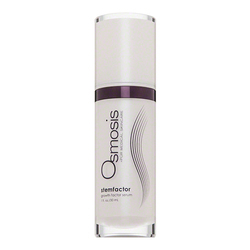 This allows the skin to reverse the negative effects of aging skin. 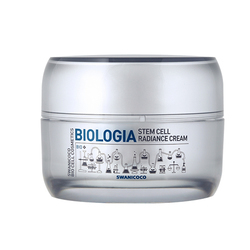 It can boost the production of collagen and elastin by stimulating the skin's own renewal process. It is the most powerful active ingredient to induce such stimulation effect. This leaves skin firm, flexible and smooth. It is a famous multitasker, addressing all kind of issues from wrinkles and age spots to loss of elasticity and firmness, and everything else in between. It has anti-inflammatory capabilities that reduce redness and swelling associated with acne, rosacea and eczema. Plus, it inhibits melanin production during the healing process, therefore it can treat and prevent spots, marks and other hyperpigmentation problems. Everyone! As mentioned earlier, your body's natural growth factor level declines at your 30s. Additionally, your skin can be compromised by environmental factors like sun exposure and pollution. Its best to use EGF products in your mid-twenties. Youd want to prevent signs of aging to appear rather than struggle to reverse it later on. What are the best EGF skin care products? Adding epidermal growth factor in your skin care routine does not necessarily mean you have to let go of your favorite beauty products. EGF works well with other skin care ingredients. In fact, it can boost the performance of other anti-aging products. Skin will be softer, and more elastic and younger-looking. RHONDA ALLISON Growth Factor Serum contains a high concentration of epidermal growth factor and is blended with powerful antioxidants and essential oils to optimally boost up nutrient support. EGF expedites healthy tissue regrowth while the antioxidants provide ultimate protection from cellular degradation. On the other hand, the oil balances moisture content. The result? Improved appearance of fine lines, wrinkles and rough surface texture. To use, apply two to three drops of the product onto the face twice a day. 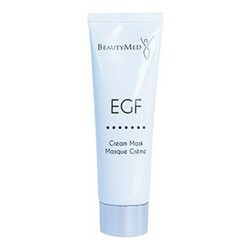 BEAUTYMED EGF Day Cream is probably the best cream out there. It is formulated with the proven effective anti-aging ingredients namely EGF, hyaluronic acid, hydrolyzed elastin complex and marine collagen complexion. It significantly improves skin's texture, bounce and radiance. It's a great choice for people who want a serious skin care product because it acts like four products in one. BIOEFFECT EGF Day Serum is especially formulated to counteract aging. It can help tighten your pores, smoothen and illuminate your skin while delivering a firmer action. Massage it onto the face and neck in a circular motion and wait three to five minutes to allow the serum to absorb completely before applying sunscreen or makeup. DR. G Revital Enhancer Cream Set includes everything you need to get started with an EGF-anti-aging beauty regimen ASAP. The set includes a toner (restores natural moisture level after cleansing), cream (supports healing and deeply hydrates damaged and dry skin) and emulsion (moisturizes skin white boosting cell repair). Expect youthful glow and hydrated complexion with regular use. If you want to combat aging skin, a product with EGF is worth a shot. But as always, it's important to identify your skin type and conduct thorough research to find the most suitable EGF formulated product for you. Get The Weekly Scoop On All The Newest Products And Special Discount Offers. Dont Miss Out, Sign up Now! This is the center text.